Day 2: Arrive Zagreb After a connecting flight in Europe, we arrive in Zagreb and transfer to our hotel. As guests’ arrival times may vary greatly, we have no group activities or meals planned for today. Please note: This trip involves considerable walking uphill and on uneven or cobblestone streets. You should be in good physical condition to enjoy this tour to the fullest. Please call if your city is not listed or for land only prices. Prices are per person based on double occupancy and include airline taxes, surcharges, and fees of $489, which are subject to change until final payment is made. Single travelers please add $1,095 Oct; $1,295 all other dates. Your $375 deposit is fully refundable up to 95 days prior to departure. All 2019 tour prices above (excluding airline taxes, surcharges, and fees) are guaranteed. Dating to 1925, the art nouveau Esplanade Zagreb is one of Zagreb’s best known buildings. Hotel facilities include two restaurants, lounge, bar, casino, Internet access, laundry and dry cleaning services, and health club with fitness center, sauna, and massage. Guest rooms have private bath with hair dryer, in-room safe, TV, and phone. Opened in 1905 following the Great Earthquake and now a city landmark, the Art Nouveau Grand Hotel Union stands in the heart of Ljubljana. The 194-room hotel offers three restaurants, bar, and café; fitness center with indoor swimming pool, saunas, and massage treatments; beauty salon; jeweler; gift shop; laundry and dry cleaning services (for a fee); and complimentary Wi-Fi internet access. Air-conditioned guest rooms have private bath with hair dryer, mini-bar, in-room safe, TV, and phone. The Hotel Milenij is located alongside the beautiful Park and Church of St. James on one side, and the famous Lungomare seafront promenade and Slatina beach on the other. The 96-room luxury hotel offers a restaurant, bar, and café with outdoor terrace; indoor and outdoor swimming pool; spa; laundry and dry cleaning services (for a fee); and complimentary Wi-Fi internet access. Air-conditioned guest rooms have private bath with hair dryer, minibar, in-room safe, TV, and phone. Opened in 2008, Hotel Trogir Palace is located on the island of Čiovo a short walk from Trogir’s historic town center, a UNESCO World Heritage site. The 36-room boutique hotel’s amenities include a restaurant with terrace, complimentary Wi-Fi internet access, and laundry and dry cleaning services. Each air-conditioned guest room has a balcony with sea view, private bath with hair dryer, mini-bar, in-room safe, TV, and phone. Croatia’s only hotel belonging to The Leading Small Hotels of the World, the 59-room Adriana enjoys a prime location: it sits on the main Promenade, facing the old city center and within sight of the yacht harbor and bay, the Cathedral, Arsenal, and Venetian piazza. Hotel amenities include a restaurant and bar, Internet access, laundry service, rooftop terrace with heated indoor and outdoor seawater pools, and fitness center with spa. Air-conditioned guest rooms have private bath with hair dryer, mini-bar, TV, and phone. Please note that the rooms here are less spacious than elsewhere on your tour as the hotel is in the center of the historic waterfront district. The Grand Villa Argentina boasts a breathtaking location, set amidst terraced, manicured gardens on the slope of a hillside overlooking the Adriatic Sea. From the gardens, guests can enjoy the shade of the cypress and citrus trees or descend the outdoor stairway to the hotel’s private beach, which also features a saltwater pool and lounge deck. The hotel sits just a 10-minute walk from the walls of Dubrovnik’s Old Town, and offers a host of other amenities including three dining and drinking options (one of which is located adjacent to the private beach); full spa with massage, sauna, steam bath, indoor swimming pool, and beauty treatments; hairdresser; fitness center; laundry and dry cleaning service (for a fee); and complimentary Wi-Fi internet access. Air-conditioned guest rooms are decorated in a traditional style and feature private bath with hair dryer, minibar, in-room safe, coffee- and tea-making facilities, TV, and phone. One of the finest hotels in Montenegro, the Regent Porto Montenegro stands in the heart of the idyllic port town of Tivat. The hotel offers stunning views of the Bay of Kotor and surrounding forested hillsides, a lovely primrose and cream exterior with wrought iron balcony railings, a wide range of comfortable common areas, a Mediterranean restaurant, library bar, bakery and delicatessen, pool bar, award-winning spa, indoor and outdoor swimming pools, fitness center, laundry and dry cleaning services (for a fee), and complimentary Wi-Fi internet access. Air-conditioned guest rooms have private bath with hair dryer, tea- and coffee-making facilities, in-room safe, minibar, TV, and phone. The Hotel Croatia enjoys an ideal location, set on a secluded peninsula in the Adriatic Sea at Croatia’s southernmost point. For all its spectacular views and unspoiled site, the hotel sits just 10 minutes’ drive from the Dubrovnik airport. Among the many amenities on offer here are a range of restaurants and bars, a full spa, saltwater indoor and outdoor swimming pools, two secluded beaches, laundry and dry cleaning services (for a fee), and complimentary Wi-Fi internet access. Air-conditioned guest rooms have private bath with hair dryer, minibar, in-room safe, TV, and phone. Discover this tiny nation with a stunning coastline, imposing mountains, ancient towns, and a rich culture formed from its perch straddling East and West. Curtis untangles the complex history of this nation at the crossroads of Europe. Kaplan interweaves history, art and culture with his travels through Yugoslavia, Bulgaria, Romania and Greece in this regional portrait. Gorgeously illustrated and filled with excellent maps, this compact book offers a thorough overview of Croatia’s history, traditions, cultures and sights. A nicely shaded map covering the Dalmatian Coast from Porec to Dubrovnik at a scale of 1:200,000, perfect for the complex coastline. 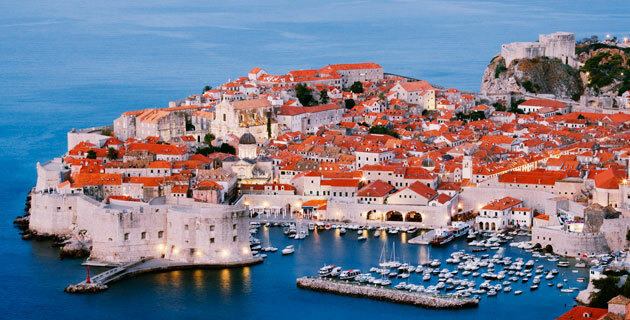 A tour guide in your pocket, this compact guide covers where to go and what to do in flourishing Dubrovnik and surroundings. This engaging memoir of a three-year sailing odyssey includes 100 enticing recipes. With photographs, archival reprints and firsthand accounts, this coffee table history of cruising focuses on the freedom and romance of cruise vessels in their golden age. First published in 1941, this monumental work explores the complex history of Yugoslavia, its heroes, politics and culture. It’s a big, challenging book – some call it the best ever written on the Balkans. These short essays capture the spirit of Croatia after the collapse of communism. Harris, a journalist who writes frequently on the Balkans, presents a comprehensive portrait of the historically important maritime city-state in this nicely illustrated, scholarly and readable history of Dubrovnik. The changing borders and complex history of the Balkans are clearly and concisely shown through 50 double-page maps and accompanying essays, that are organized chronologically. A professor at Northwestern University, Wachtel focuses on the traditions and contributions of overlapping cultures in this lively short history. With eloquence and clarity, Mazower addresses issues of geography, nationalism and nation in this indispensable survey. A professor of politics at Ithaca College and contributor to Foreign Affairs, Gagnon argues that political and economic elites encouraged violent ethnic conflict in order to retain power in this scholarly, revisionist history. Called “one of the finest volumes to come out of the war” by the New York Times, this book combines eyewitness reports, political commentary and documentary photographs to elucidate the origins and aftermath of the breakup of Yugoslavia. A modern history of Croatia, from its medieval origins to Nazi occupation to the present day, written by the British correspondent who reported from the region during the events of 1993. This richly illustrated, large format book offers a collection of essays that guides the reader through key elements of Croatia’s artistic and architectural legacy. Each essay is written by an expert in the field. These short essays capture the absurdity, struggle and day-to-day reality of being a woman in Yugoslavia under communism. Drakulic is an award-winning Croatian journalist and novelist. When Duro Kolak encounters a strange car in his small Croatian village of Gost, he offers its British occupants assistance in setting up a summer cottage. But tensions soon develop between the village residents and the foreigners, as painful memories from the Croatian War of Independence are awakened. Steeped in atmosphere, this compelling tale of intrigue set in turn-of-the-century Montenegro evokes the tangled politics of the region – Muslim, Turkish and British. Lawrence follows the adventures of reluctant British spy Harwell Auberon from the Adriatic to mountain villages, capturing the essences of the people and the land. These linked stories by the Nobel Prize-winning author capture the history and complexity of Christian and Muslim relations during Ottoman occupation. Hewn of stone, the bridge dividing the town of Visegrad was Andric’s inspiration.